OnePlus has finally started rolling out the official and stable Android 8.0 Oreo-based OxygenOS 5.0.2 update to the OnePlus 5T. The Chinese company clearly stated that it’s an incremental rollout, meaning only a small batch of users will receive the update first. Do make a note that it’s not an Open Beta update which means that OnePlus 5T users on stable Android Nougat based OxygenOS ROM will receive the update. OnePlus confirmed that it will begin broader rollout of the update in a few days from now. 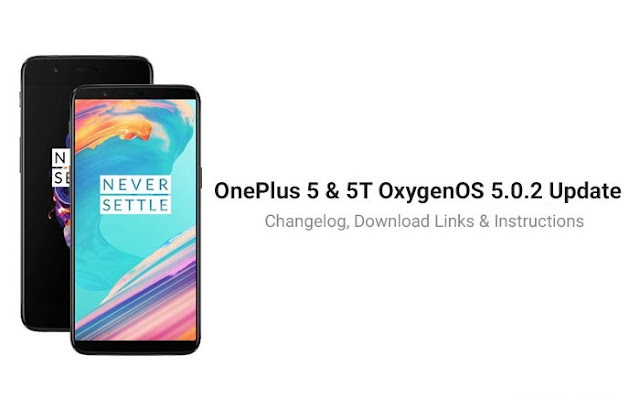 OnePlus is now rolling out the OxygenOS 5.0.2 update for the OnePlus 5T. This update is the first one to bring Android 8.0 Oreo to the company's flagship smartphone. The software update will be available through an OTA download. Several core applications on the phone have also been upgraded to the latest version. The OnePlus 5, which already has Android 8.0 Oreo, has also received the update - bringing similar new features. As we mentioned, Android 8.0 Oreo stable build is finally available on the OnePlus 5T via the OxygenOS 5.0.2 stable OTA update. According to the changelog, the phone will also receive a new design for Quick Settings, general bug fixes and improvements, and a new CPU security patch (CVE-2017-13218) - specifically, a patch related to the Meltdown and Spectre side channel attack flaws CPUs globally. Apart from that, Launcher app has been updated to version 2.2, Gallery app has been updated to version 2.0, Weather app has been updated to version 1.9, and File Manager app has been updated to version 1.7.6. The update is also expected to bring core Oreo features including Picture-in-picture, Autofill, Notification dots among others to the OnePlus 5T. As we mentioned, the OnePlus 5 has also received the OxygenOS 5.0.2 software update. It gets new features including the highly anticipated Face Unlock (rolled out in a beta update earlier), CPU security patch (CVE-2017-13218), general bug fixes and improvements. Apart from that, applications like Launcher, Gallery, Weather, and File Manager have been updated to their latest versions. The Camera app also gets enhanced EIS for video recording. "The OTA will reach a small percentage of users today, and we'll begin a broader rollout in a few days." said Adam Krisko, Software PM and Developer Relations at OnePlus clarifying that the update will be incremental in nature. According to a Twitter user in India, the OxygenOS 5.0.2 update is rolling out to Indian units with a file size of about 1.7GB. Interestingly, the OnePlus 5T received OxygenOS Open Beta 3 earlier this week. The beta update brought new navigation features similar to the iPhone X. Additionally, it includes a pick-up gesture switcher for answering calls. It also removed the Clipboard function that caused some controversy earlier this month. Open Beta 1 and Open Beta 2 for the OnePlus 5T were released earlier this month. OnePlus has released OxygenOS Open Beta 3 based on Android Oreo for OnePlus 5T that brings a few new features and improvements that includes pick-up gesture switcher, bug fixes and security patch among other things. Notably, the update also brings SMS categorisation function that is specifically for India only. OnePlus’ Adam Krisko announced the Open Beta 3 update for OnePlus 5T along with the changelog. The most notable new additions includes a new pick-up gesture that lets you choose whether you prefer to slide up or down to pick up a call. The other big addition is an India-specific one which involves SMS categorisation. This feature auto-sorts your messages into categories, although the changelog doesn’t provide any further details on this. Apart from these new features, the latest beta build includes general bug fixes and improvements and a CPU security patch (CVE-2017-13218). The changelog also mentions a new Navigation gesture that can be enabled by going into settings and disabling the nav bar. Notably, the update removes a Clipboard function that was introduced in Open Beta 2 after user feedback. OnePlus 5T users interested in downloading the latest Open Beta 3 can read the flashing instructions and download the full ROM here. Those currently running Open Beta 2 should receive the latest build via OTA. The beta build comes following the Open Beta 2 release for OnePlus 5T a couple of months ago. The previous beta update came with a new OnePlus Switch app that makes it easier for Android users to switch to a new OnePlus device. The update also added a new clipboard feature that appears when you mark or copy something on the device. Gesture controls without clear navigation bars aren’t just for the iPhone X. Some Android smartphones let users save screen real estate by using home button gestures, and now OnePlus’ newest Oreo beta build for the OnePlus 5T includes a feature that disables the navigation bar and instead prioritizes gestures. We haven’t had a chance to test this yet, but Reddit user MisterMrMister uploaded a video of the gesture controls in action. You can see that the phone’s navigation bar is missing, but the user is still able to pull up different pages, toggle between windows, and exit apps. MisterMrMister says, “The gesture for going home is pretty smooth and responsive, including going to the recent app overview.” The user continues to note that the back button gesture is a “hit or miss for me right now. Sometimes I seem to ‘miss’ the right area to activate it.” Like we learned with the iPhone X, gestures take time to get used to, although most people seemed to adjust pretty quickly after losing their dedicated home button. Maybe this is the start of the end of not only buttons, but also nav bars. With Open Beta 3 now out, we’re close to a stable rollout of Android Oreo for OnePlus 5T. The company promised 5T users will receive the Oreo update in early 2018. The company has already rolled out stable Oreo builds for OnePlus 5, OnePlus 3T and OnePlus 3. Earlier this month, OnePlus brought the 5T’s Face Unlock feature to the OnePlus 5 via the Oreo-based OxygenOS update. OxygenOS stays true to Google's vision of Android while offering plenty of customization options. OxygenOS is one of the best implementations of Android currently available. Instead of offering a heavily customized interface like most of its Chinese rivals, OnePlus has kept things simple, adding a few differentiating features on top of a near-stock user interface. There are enough subtle tweaks and gestures that let users customize their experience, but the focus is on sheer performance. The OnePlus 5 and the OnePlus 5T are two of the fastest devices when it comes to software performance this side of the Pixels. Let's take a look at what sets the custom skin apart. Night Mode Night Mode activates a blue light filter, which reduces fatigue when viewing the screen at night. The feature debuted last year, but on the OnePlus 5 and 5T you can set it to automatically engage from sunset to sunrise, or select a custom time range. The feature works by altering the color temperature of the display, giving the panel a yellowish tint that eliminates blue hues. While the screen no longer shows accurate colors, it does reduce the strain on your eyes, particularly if you're interacting with your phone a lot at night. OxygenOS also allows you to set the intensity of the effect — you can choose to eliminate blue tones completely, or select a setting that doesn't alter the color temperature of the screen too much. Reading Mode Reading Mode is a new feature that was introduced earlier this year with the OnePlus 5. Like Night Mode, the feature automatically calibrates the color temperature of the display, making it conducive to reading. Instead of switching to warmer colors, Reading Mode creates a monochrome effect that's great for reading text. You can activate the mode manually or set it to automatically launch for specific apps. For instance, if you have the Kindle app installed on your OnePlus 5/5T, you can enable Reading Mode to launch automatically whenever you open the app, leaving the rest of the user interface unchanged. Gestures OxygenOS offers a range of gestures that make it easier to interact with the phone. The three-finger screenshot gesture, for instance, allows you to take a screenshot just by swiping down anywhere on the screen with three fingers. You also have double tap to wake the screen, and the ability to control music playback — two-finger swipe down for play/pause and <,> symbols to move forward or back in a playlist. There's also the option to launch the camera by drawing an O, and toggle the flashlight with a V gesture. These gestures are predetermined on the OnePlus 3T, but you can customize actions for up to five gestures on the OnePlus 5/5T, including launching an app, opening the front camera, accessing the Shelf, and more. Launcher customization The latest iteration of the OnePlus Launcher has a lot of similarities to the Pixel Launcher — you can slide up from anywhere from the lower half of the home screen to access the app drawer. There are a lot of extras baked in as well. The stock launcher natively supports third-party icon packs, allowing you to choose from hundreds of icon packs on the Play Store and use them without having to switch to another launcher like Nova. You can also change the visual look of the UI with themes — there are three available by default, including a Dark Mode — and switch up the accent colors. The latest open beta has numerous tweaks to the launcher, including dynamic icons for the calendar and weather, a search history row in the app drawer that lists your five most-recently used apps, ability to see battery information for connected Bluetooth devices, and more. Status bar The OnePlus 5 and 5T have a toggle that lets you see your network speeds in the status bar. You don't get to see how much data you've consumed in a day, but it is a nerdy feature to have nonetheless. Talking about the status bar, There's also the ability to toggle icons. If you're on a carrier that offers VoLTE but don't want to see the persistent icon in the status bar, you can now turn it off from the settings. Same goes for NFC, VoWiFi, and other icons. Navigation buttons A nifty feature in OxygenOS is the ability to choose between capacitive or on-screen navigation keys. If you're going with the hardware keys, there's a toggle to turn off the backlight. The default layout of the buttons is back, home, and recents, but you can switch the back and recents buttons if you're coming from a Samsung phone and want to have the back button to the left of the home key. The customizations are valid both for the hardware keys as well as the on-screen buttons. Alongside the ability to change the order of the buttons, you can also assign long press and double tap actions to each button. You can select from a variety of actions, including opening the camera, turning off the screen, opening or closing the notification shade, accessing split-screen mode, and much more. 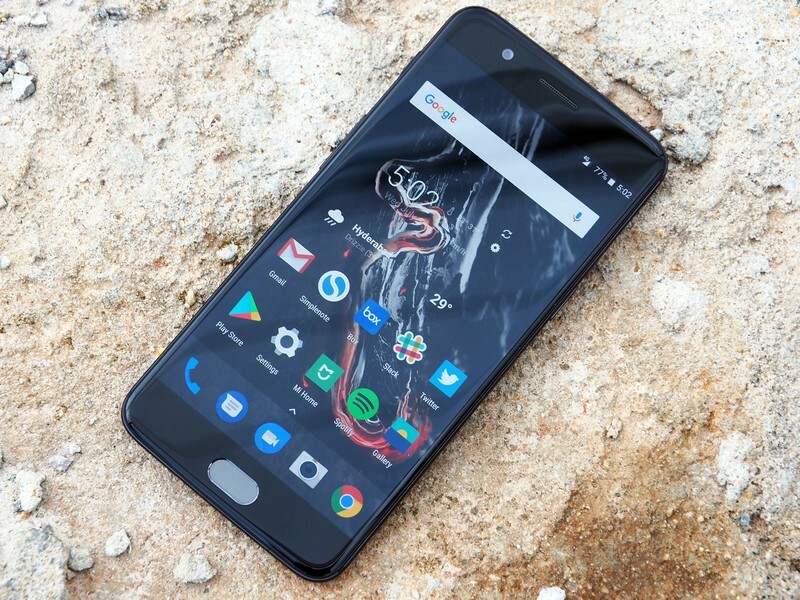 Tweak the audio The OnePlus 5/5T take full advantage of the Snapdragon 835 chipset, and that includes a Bluetooth 5.0 chip and the aptX HD audio codec. You'll be able to switch between aptX HD, aptX, and the default SBC codec. The Qualcomm-owned aptX HD codec is designed to deliver high-res audio over Bluetooth. Launched at the beginning of 2016, aptX HD supports 24-bit/48kHz audio, and while it still uses a lossy compression, you get a higher bandwidth of 576kbps. The standard aptX codec, which was first developed in the 1980s, has a maximum bandwidth of 352kbps. To get the most out of aptX HD, you'll need to have a compatible audio product that also features the codec. Right now, that's a short list — only the LG Tone Platinum, Tone Active+, Audio-Technica's high-end ATH-DSR9BT, mid-range ATH-DSR7BT, and the $1,000 Beyerdynamic Xelento offer the codec. While the OnePlus 5/5T come with the aptX HD codec, the OnePlus 3 and 3T feature aptX. However, all four phones offer an audio tuner that lets you tweak the equalizer settings according to your tastes. LED notifications OxygenOS allows you to customize the LED notification light for various actions. There's the option to select from eight colors for default notifications, battery full indicator, battery charging, and battery low. You can also select which apps trigger the LED notification light. As we're on the subject of notifications, the OnePlus 5 has a new vibration motor that lets you choose from five custom patterns for incoming calls. If nothing else, you should take a look just to see the text labels — the default is dzzz-dzzz, but I prefer mm-mm-mm. You can also adjust the vibration intensity for calls and notifications. Shelf Shelf is located to the left of the home screen, and gives you a quick overview of the date, time, and weather information for your current location, along with a list of your frequent contacts and recently-used apps. There's the option to add widgets to the Shelf, and you can add or remove modules as needed. Gaming DND The OnePlus 5/5T don't have a Do Not Disturb mode for notifications (you'll have to manually toggle the Alert Slider every night), but it does have one for when you're gaming. It does what you'd expect — activating Gaming Do Not Disturb silences all incoming notifications with the exception of calls and alarms. The mode also locks the capacitive keys, preventing you from exiting a game should you accidentally hit one of the navigation keys. If you don't want to lock the navigation keys, you can turn off the setting. You can set the mode to launch automatically when a particular app is nothing opened. Bonus: Quick Pay for India India is one of the largest markets for OnePlus, and the company built a feature that's exclusive to local customers. Dubbed Quick Pay, it allows customers to launch directly into Paytm's payment window with a long press of the home button. The feature works even when the screen is off — launching Paytm as soon as you press and hold the power button. Paytm is the largest digital wallet service in India, and with digital transactions on the rise, giving customers the ability to quickly access Paytm's payments page is a nifty addition.